Discussion in 'Drop catching Domain Names' started by geebee, Mar 14, 2018. 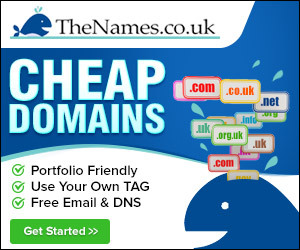 I've found a .co.uk domain which has expired and is due to drop in May. The domain name is the same as my company name, so I'd really like to secure it. Which drop catching services would you recommend for .co.uk domains? I've registered with Dropcatch - but I've just read mixed reviews (including allegations of them stealing domains). Your best bet is to book it with all public catchers, and post a bounty. Odds are a private catcher will have a massively better chance. Work out exactly what day its going to drop, and post a request looking for bookings on that day for X fee, anyone with bookings is likely to say I have a domain starting X, Y, booked so you know if its possible to book with them, if they have other stuff loaded. Determine the value, if its a name of value to others, multiple uses, odds are you'll need a decent bounty. Its also worth considering if its already a domainer who will renew the domain last minute like many of us do. Thanks Skinner - I'm really new to this! So you think a public catcher is the way to go instead of a private catcher? Even though a private catcher will have better odds? So when you say a public catcher do you mean DropCatch, Dropped.uk etc? It would be great if you could give me some recommendations. What I'm worried about is that if I offer the job to someone that they end up stealing the domain! As Skinner also mentioned, you might want to consider private catchers too, but that obviously comes with more risk, as you are new here, so won't know who to trust. Generally you'll be ok, providing you stipulate a price, and make sure you don't mention what the domain is until the catcher has confirmed they are happy to chase for you, and have nothing else booked (get their TAG at this point). Just remember that if the domain has value, it will likely be chased by a number of TAG holders, so a bit of strategic thinking may be required. there is a list of good dropcatching services, most of the owners are members on here and the systems are run by another member here and your in with a good chance. No one on that list will steal your domain. If its already booked or they are going for it themselves then they block it from the system and you cant book it with them. As Skinner said, post a bounty here also with a price your willing to pay. Just make sure you stipulate your price and get an agreement and TAG that will be used before giving the name. Again, don't think there is anyone on here that catches that will rip you off in any way. You just have to have as many irons in the fire as possible really, and even then if its a popular domain there will be a lot going for it . EDIT. Sorry Ian.... was typing as you posted. Mostly duplicates. Have you contacted the current owner and asked if they would sell it ? many/most expired domains are renewed, some at the very last minute. If the domain gets suspended then you could book it with catchers as insurance. 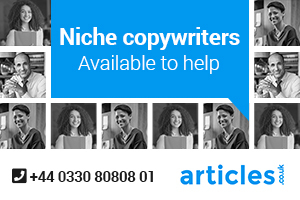 Another strategy is to contact the current Registrant and ask if they will sell. This may require some detective work. If the domain has obvious value, there is likely to be competition for it. Another point would be that if it is currently owned by a 'domainer', handle an approach with care, it can sometimes have a negative impact in so much as the domain that may have been about to drop suddenly gets locked away for a few more years with a big price tag. Not all domainers do this, but some do! I actually hired a broker to approach the owner of the domain in October. They said they were keen to sell it, but after I gave them an offer they didn't respond. The broker tried again in November, but was told that the domain wasn't for sale and that the owner couldn't be bothered. I think they just put it in the too hard basket so it's unlikely that the owner will renew it before it drops. Sorry if this is a stupid question, but should I be looking at a public catcher, or a public auction? I'm sure the majority of private catchers are fine, but I'd just be gutted if a bad apple grabbed it! "Just remember that if the domain has value, it will likely be chased by a number of TAG holders, so a bit of strategic thinking may be required." What kind of strategy would you recommend based on the options below? I'd say if you made an offer on it before that actually there is a good chance the owner will still renew it, especially if as you say you think the domain has value. A lot of domain portfolio holders wait until the last day before renewal before renewing, probably to put their domain in the spotlight (appear on drop lists etc). No harm in booking via the public auction catchers mentioned; if the bid price keeps going higher, then you know it will be contested by private catchers and you may need to enlist the help of some of them. You'll also get this impression from seeing if the domain is booked with the public catchers too. Make sure you book as early as you can. All of them and anything else you can find if you're really after it. Most are no catch no pay anyway, so its just a sign up. Book them as early as possible as anything non auction will only allow one slot per domain. Brilliant - thanks a lot guys. I'm just signing up to a few of them now. I appreciate all of your help Hopefully I can get a good result in a few months time! Still problems with hotmail and outlook so please whitelist do_not_reply@[thecatchingplace] and info@[thecatchingplace] and check your spam folders. I will be changing the code to send all through a paid smtp server which should hopefully eliminate this issue. I'd say almost anyone who is a regular poster or long time poster on here, would be fine. Most of us trade on the back of our names, so we have to be solid. Closer to the actual drop date, say 2 weeks before hand, that's about the time to post the bounty, and then bump it on 6 days before, as most people will have their days drop by then too. Yes. They are all different tag holders so don't chase on the same quota - ie they are individual catchers. You should book *everywhere* you can including those ones listed to have the best chance. Ah OK, thanks RobM - was beginning to wonder when they all seemed the same! Thanks for clarification. BTW naiive question, but I take it these are all reputable and will just charge the fees they advertise? My colleague is a bit worried about using one of these services thinking they'll snag the domain then charge more - she's instead advocating just holding out to check for ourselves. I think the desired domain is fairly generic/desirable therefore think for £30 or so it's reasonable to pay - however I wouldn't go into the hundreds. Some work on an auction model where your offer is a bid and others can place higher offers. However they will honour the highest bid at droptime. Other models work on a fixed fee, first come first served, where once the domain is backordered nobody else can. A quick way to check is to either read any faq or questions page or see if the domain is still available to backorder. If it is then your offer is only a bid on an auction model. All public catchers that I'm aware of have never engaged in chasing domains for themselves after they've been ordered. Bear in mind though that if your domain is half decent most likely it will be chased by lots of other tags as well as people using public backorder sites. As long as you never pay anything up front you can decide what a domain is worth to you and opt not to bid above that in an auction situation.